In a time where we can build and access a wealth of geographic information through our mobile devices and online, digital maps are being leveraged to document and archive public art. Much of this is due to geographic positioning systems (GPS) and geographical information systems (GIS), which allow us to collect location data in real time, and use it to determine not only where we are, but where we are going. Given this, how can arts managers, city planners, and culture enthusiasts capitalize on evolving map technologies to strengthen awareness of public art, as well as deepen public art’s ties to civic engagement? The following preliminary research aims to identify what digital map tools currently exist that connect with public art. It also considers which experiments with and applications of other technologies to digital maps arts managers should be monitoring, as they advance user experience. What Digital Map Tools Currently Exist? ArtAround by Lauraellen McCann allows users to search a map of public art and art venues, as well as to add new works and spaces missing from the map. Since the creation of the app, ArtAround has also evolved into a free online public art database. Be Here Stories, created by the MuseWeb Foundation, utilizes a mobile device’s geolocation and microphone tools to allow users to record stories about their favorite arts and culture sites. These stories are shared to an interactive map online, where virtual visitors can listen to stories recorded by Be Here Stories’ users from around the world. A full review of this app is available on AMT Lab. In the public art sphere, maps made available on the web are heavily relied on to create an interactive user experience. They allow users to visualize where public art is located, and to click on icons that provide details such as artist information, images, and links to more information. One example of this is WESTAF’s Public Art Archive, which is still fully integrated with Google Maps nearly a decade after Thomas Hughes first wrote about the archive on AMT Lab in 2010. Another example is the City of Pittsburgh’s Public Art Database, which is powered by geographic information systems (GIS) software ESRI. The above examples show how formal entities, like arts service organizations and government bodies, have employed interactive online maps to archive and showcase public art. Importantly, the accessibility and affordability of these technologies have also democratized the development of digital public art tools by the general public. If you have a Google Account, for example, you can use Google My Maps to make a custom map. This has empowered the development of unofficial public art mapping, such as street art maps of Atlanta, Georgia, created by retired engineer Art Rudick. Both mobile apps and interactive online maps provide arts managers and organizations with the ability to capitalize on crowdsourcing while maintaining quality control, and give the general public creative opportunities to record public art in their communities. The user experience on these platforms, however, is limited to learning and sharing information through still images, audio, and text. Experiments with digital maps in the past five years have and continue to combat such limitations and have expanded what digital map engagement can be. ESRI, a leader in GIS software, has developed Story Maps – a series of app templates that allow organizations to combine maps with multimedia content. A Story Map created by George Washington’s Mount Vernon invites users to explore images, text, video, links, and 3D renderings to learn about the archaeology of the slave cemetery at the heritage site. Google Creative Labs has also developed highly engaging map experiences. Speak to Go, for example, uses virtual reality to allow users to view 360 degree images from almost anywhere in the world. Another example is Google Nightwalk’s tour of Marseilles from 2014, which involves narration, text, video, and an audio storytelling project to create an arts-focused digital map experience. The existing mobile apps and web platforms that utilize digital maps to document and provide information on public art are plentiful and provide exciting opportunities for arts managers. These tools invite cultural and government institutions to consider and implement applications that support deeper audience and/or community engagement. In addition to connecting digital maps to public art projects, they can be used to highlight a museum’s collections, support a specialized tour or performance, and may even offer an interactive way to showcase your institution’s impact to donors. If deciding to use a digital map, arts managers need to determine whether they are in a position to grow their current expertise, what software, web platform, or applications best align with their organization’s capacity, and any budgetary restrictions they may have. 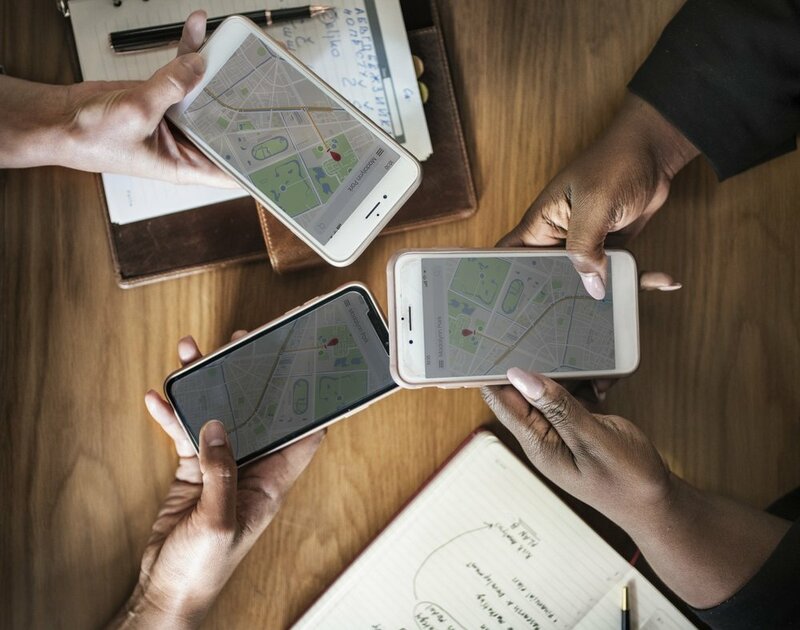 Equally important, maximization of user experience and engagement must be at the forefront of any digital map development and implementation processes. “‎ArtAround.” App Store. Accessed November 18, 2018. https://itunes.apple.com/us/app/artaround/id463678249?mt=8. “Be Here Stories.” Accessed November 18, 2018. https://www.museweb.us/be-here-stories/map.html. “Be Here Stories: A Digital Storytelling Experience.” AMT Lab @ CMU. Accessed November 18, 2018. https://amt-lab.org/blog/2018/10/be-here-stories-a-digital-storytelling-experience. “‎CANVS Street Art.” App Store. Accessed November 18, 2018. https://itunes.apple.com/us/app/canvs-street-art/id1153440181?mt=8. “Future Focus: The Public Art Archive.” AMT Lab @ CMU. Accessed November 18, 2018. https://amt-lab.org/blog/2010/10/technology-on-the-horizon-the-public-art-archive. “Google Night Walk.” Accessed November 18, 2018. https://nightwalk.withgoogle.com/en/home. “Leveraging the Potential of Spatial Data in Artistic Programming.” AMT Lab @ CMU. Accessed November 18, 2018. https://amt-lab.org/blog/2014/4/leveraging-the-potential-of-spatial-data-in-artistic-programming. “Museweb – A Network for Sustainable Innovation.” Accessed November 18, 2018. https://www.museweb.us/. “Pittsburgh Public Art.” Accessed November 18, 2018. http://gis.pittsburghpa.gov/publicart/. “Public Art Archive | Public Art Throughout the United States.” Accessed November 18, 2018. https://locate.publicartarchive.org/home. “Speak to Go: Explore the World with Your Voice.” Speak to Go: Explore the world with your voice. Accessed November 18, 2018. https://speaktogo.withgoogle.com. “Story Map Journal.” Accessed November 18, 2018. http://mountvernon.maps.arcgis.com/apps/MapJournal/index.html?appid=3ca8ba42c90a41d39df64b9cd4f25f58. “Story Maps | Story Maps.” Accessed November 18, 2018. https://storymaps.arcgis.com/en/. “Street Art Maps: Atlanta’s 12 Best Neighborhoods for Street Art and Murals.” Atlanta Street Art Map. Accessed November 18, 2018. https://streetartmap.org/atlanta-street-art-maps/. “Visualize Your Data on a Custom Map Using Google My Maps.” Accessed November 18, 2018. https://www.google.com/earth/outreach/learn/visualize-your-data-on-a-custom-map-using-google-my-maps/.